Mice with DNA damage-repair problems can help in testing new treatments. 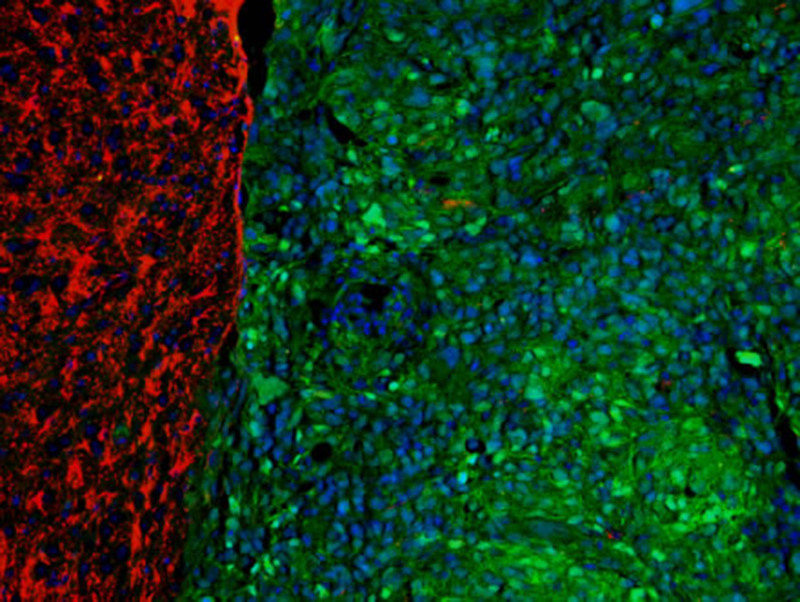 In addition to developing the new genetically engineered mouse model for the form of cancer called glioblastoma, or GBM, multiforme, the researchers made a key discovery about brain tumor biology via the mice. Their work focuses on a protein called ATRX and its role in helping cells repair damage to DNA. About one-third of children and young adults with brain cancer have ATRX mutations in their cancer cells. But in an ironic — and potentially beneficial — twist, the researchers also showed that if they treated the mice’s tumors with drugs that damage DNA, they could actually shrink tumors more effectively and improve survival. This genetic instability accelerated tumor growth and reduced the survival of mice that went without treatment. Using a special genetic technique that introduced the same mutation in mice, soon after birth, the scientists were able to generate brain tumors that made less of the ATRX protein. Then, they showed that when the cancer cells didn’t make enough ATRX, the cells couldn’t join together the two ends of a broken DNA strand. The first author of the study, Carl Koschmann, M.D. (Fellowship 2014), assistant professor of pediatrics and communicable diseases, helps guide the treatment of children with brain cancer at U-M’s C.S. Mott Children’s Hospital. He also studies brain cancer at the basic cell level in the Castro laboratory. Castro’s team at U-M, and their colleagues on teams at the Johns Hopkins School of Medicine, the University of Rochester and the Institute of Cancer Research in London, have been working toward this goal for several years. Other research at U-M is developing new options for treating brain cancer through immunotherapy — harnessing the immune system to attack cancer cells once an injection of a particular gene therapy is delivered into the brain tumor. A clinical trial testing an immunotherapy approach developed in the lab of Pedro Lowenstein, M.D., Ph.D., the Richard Schneider Collegiate Professor of Neurosurgery and professor of cell and developmental biology, and Maria Castro is now under way in adults with GBM. More information is available here.